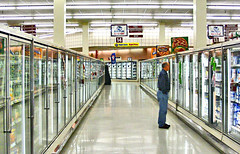 What are the top brands of frozen food, bath soap and ice cream sold in U.S. supermarkets? If you are not sure then check out this story which provides a nice ranking of brands in 20 consumer product categories (see this page for listing). While this story and associated listing are worth reading (including the implications of why branding is becoming so important to retailers), a few additional issues should be considered. First, it is important to understand that the results show the leading brands by category but do not necessarily indicate the top individual products within a category. For instance, under the Breakfast Cereal category Kellogg is listed as the top brand but the results do not indicate which of Kellogg’s cereal products (i.e., Raisin Bran, Rice Krispies, Froot Loops, Corn Flakes, etc.) is the top selling individual brand. In fact, the top individual brand in some categories may come from a company that is not ranked as the number one brand. Second, the story does not offer much detail on how the information was collected other than indicating that consumer wrote down brand names. However, the research company behind the numbers, BIGresearch, is known to use large consumer research panels and such panels can be very effective when the research is planned correctly. By correctly we mean proper controls are in place including using appropriate methods for participant selection, data collection and data analysis. More details on how the branding information was collected could offer more insight into the real value of these rankings. Third, while the data collection details are not provided, it does not appear that these rankings reflect actual sales but instead reflect customer’s recollection of what they purchased. If the research design is strong these results should be similar to market share information which typically is based on sales. Respondents were asked to write in the brand name of the product they purchased most often in each of these categories. Which of the 20 categories listed in the rankings would appear to be least susceptible to competition from store brands?